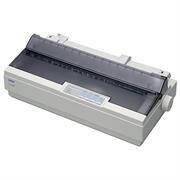 The Epson LX-350 is a reliable, compact and economical printer that has all your printing needs covered. Small and light enough to be used almost anywhere, the LX-350 also has an incredibly low power consumption, helping to keep your carbon emissions and running costs down. Flexible connectivity options such as Parallel, Serial and USB interfaces as standard ensure swift and simple integration with your existing systems and will fit neatly onto desks thanks to its compact design and cable management system. The LX-350 impressive durability means that downtime is kept to a minimum. The Epson LX-1170 is the ideal 9-pin printer for light duties and features not only include fast print speeds; 337 cps in fast draft mode at 2cpi, but also versatile paper handling capabilities including two paper paths and push or pull tractor combinations. 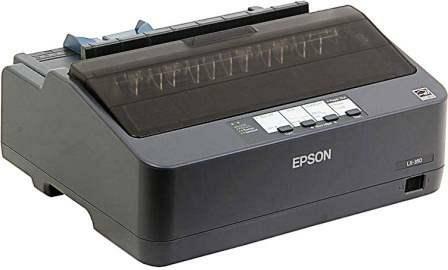 The copy capability of one original plus four copies makes the Epson LX-1170 suitable for a variety of environments including data reporting (e.g. telephone statistics and call log in, helpdesk and computer systems reporting), listings, shipping documents and measurement and control systems. The bottom paper path further advances paper handling as the paper rolls less during feed enabling thick media and labels to be printed with ease.